High blood pressure is very common, affecting many people. Most people think the only course of action is prescription drugs to treat the condition. Some have found that there is an alternative treatment of using herbs and botanicals to naturally treat high blood pressure. These are not new ideas. 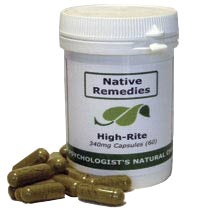 People have used natural therapy to treat high blood pressure and other ailments for years. Some of the herbs used to treat high blood pressure are: Hawthorn (Crataegus oxyacantha) is believed to dilate blood vessels and block ACE (angiotensin-converting enzyme) which restricts blood flow; Passiflora incarnate is thought to help relax the circulatory system, as well as calm the user down; Guelder rose bark is thought to decrease blood pressure by relaxing the entire circulatory system. Despite all the different herbs for high blood pressure, herbalists also stress the need for lifestyle changes as well. Nicotine intake needs to be vastly reduced or eliminated once diagnosed with high blood pressure, as the drug will constrict the blood vessels. Exercise along with suitable diet will help a person drop weight. When you lose weight it is good for the heart also. The proper exercise will help in strengthening the heart muscle and blood vessels, making them stronger and helping them to endure the stress of high blood pressure. Healthy diet and exercise should also be a part of your life while taking herbs for high blood pressure. Caffeine is known to produces a temporary increase in blood pressure. Therefore many physicians and naturalists advice you to avoid caffeine as it can offset the effect of drugs or herbs used for high blood pressure which are being used to dilate the blood vessels. Ginkgo Biloba is one of the oldest and widely recognized herbs. It has been there for many centuries and has shown amazing effects on blood pressure. It relaxes blood vessels and stimulates the circulatory system. It also helps in the easy flow of blood, thereby reducing the chances of clotting. It is widely known to be an herb which is used for the treatment of high blood pressure. Next post: Can you Really Treat High Blood Pressure with Alternative Medicine?